Earlier this month, the Department of Homeland Security Office of Inspector General (DHS OIG) published a redacted version of a report, "ICE Faces Challenges to Screen Aliens Who May Be Known or Suspected Terrorists". The redactions were made to safeguard "law enforcement sensitive" information: information that, although not classified, is of such a nature that publishing it would reveal strategies, tactics, or even weaknesses, to the detriment of good law enforcement. Even with the redactions, though, the OIG report exposes significant flaws in the way that DHS's subordinate agency, Immigration and Customs Enforcement (ICE), has been vetting — or, more accurately, not vetting — all of its alien arrestees to determine whether they constitute a national security or terrorist threat. The OIG reports that, of 40 sample cases it examined involving aliens arrested between 2013 and 2015, every one had procedural flaws in the way screening was conducted, and that many arrestees subsequently released did not undergo post-release follow-up vetting at all. The OIG also reports that a selected review of 2016 arrests reflected the same inadequacies. That's an important story, but it's not the only one — perhaps not even the most important one — embedded inside the OIG's report. There are others equally noteworthy that haven't garnered critical attention and that deserve to be examined. Here they are. Technical and Material Resource Limitations. ICE is composed of two major divisions: Homeland Security Investigations (HSI), which conducts a multiplicity of investigations of various criminal violations, and Enforcement and Removal Operations (ERO), which is charged with overseeing the protocols discussed in the OIG report. ERO is the division that by-and-large is responsible for operations to locate and arrest removable aliens. In truth, the two divisions are so distinct and "alien" from one another that for all intents and purposes they each function as separate agencies within the larger entity that is ICE. They have separate chains of command and do not even share collocated offices. This is an important point to make. The implication is twofold: Inevitably in such bureaucratic circumstances one division becomes the favored child, the other the stepchild. Since the inception of ICE, HSI has been treated favorably: Its agents are graded higher in the GS-level pay scale and are first recipients of the best vehicles and equipment, even down to and including safety equipment such as bulletproof vests, with ERO lagging behind. And, because HSI and ERO offices aren't collocated, none of this equipment or materiel is available for mutual use. This leads us to a second point about the limitations, discussed below. The OIG report makes oblique reference to the difficulties ERO agents have had accessing the needed data, for lack of equipment in their respective field offices, but doesn't go into detail as to why. I have discussed more than once HSI's reluctance to fully engage in the panoply of immigration enforcement work (most recently here), yet it is HSI that investigates violations of the Immigration and Nationality Act involving terrorism, and that participates in the FBI's Joint Terrorism Task Forces (JTTFs) nationwide. Consequently, it is HSI's field offices that have always been recipients of the computer and telecommunications equipment needed to access, receive, and transmit classified information of the type kept in federal terrorism databases. [A]uditors observed that some ERO offices do not have access to DHS classified networks which are imperative to communicate derogatory information related to known or suspected terrorists. To collect pertinent information on known or suspected terrorists, ERO agents are forced to inconveniently travel to gain access, sometimes hours away. Some ERO field offices do not any access, which limits and can jeopardize custody decisions. As long as the agency continues to treat each division as its own hierarchical stovepipe with no horizontal integration, and as long as there is no collocation of offices, then neither sharing nor strategic or tactical cooperation is possible; and ERO must replicate what HSI has already been budgeted and allotted where specialized classified information platforms and telecommunications are concerned. The consequence is that for lack of ready technical capacities, the KSTEP (Known or Suspected Terrorist Encounter Protocol) vetting has often failed to occur, or to occur in a timely fashion. Adoption of KSTEP. The OIG describes how it previously examined the manner in which ICE ERO conducts its terrorist screening of deportable alien arrestees in a 2011 report. At that time, KSTEP was not the relevant protocol. In its prior report, the OIG recommended that ICE do a better job of scrutinizing those arrestees who were nationals of designated "special interest" countries (nations that pose the highest risk because of native insurgencies, broad-based support of terrorist groups, etc.) To its credit, ICE declined and instead instituted KSTEP, a much broader-based protocol that is not limited solely to special-interest nationals. This was clearly an implicit recognition of the fact that terrorism and extremist views are by no means limited to a small group of countries — that in truth, there has been a proliferation of terrorists (often Islamist extremists) who are nationals of countries that participate in our Visa Waiver Program, such as France, Belgium, and the United Kingdom. The more broad-based protocol, even though it clearly imposed a significantly higher resource burden, was appropriate, and voluntarily adopted by ERO. Yet this recognition of, and willingness to undertake, the broader standard despite the burden has gone unremarked. While the report does not use the word "sanctuaries" — perhaps in an attempt by the OIG to avoid getting enmeshed too deeply in such a simmering controversy — it is only in sanctuary jurisdictions with laws and policies forbidding cooperation where such obstruction takes place. This is not an insignificant lapse in the ability to vet known or suspected terrorists. A just-released joint report from DHS and the Department of Justice shows that three-fourths of the individuals convicted of international terrorism and terrorism-related offenses were foreign-born. It's unfortunate that the OIG was not forthright in its wording in this report, and equally unfortunate that analysts and the media have chosen to overlook this part of the report, which may very well be the most significant thing that the OIG had to say. 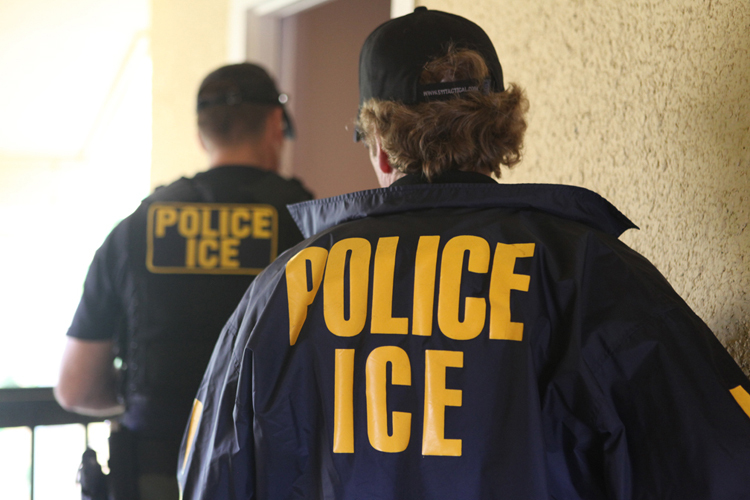 The technical resources and inattention to protocols can be fixed internally, but until there is a resolve to confront sanctuary jurisdictions head-on, ICE will continue to be unable to adequately vet removable aliens to determine if they are a threat to the national security, the public safety, and the communities into which they are daily being released by state and local governments.